Just what is #CoronaDefoldJam? GamesJam.org is hosting a game jam to promote Lua as a great language for game development and game jams. For this jam, developers can use either Corona or Defold for their projects. 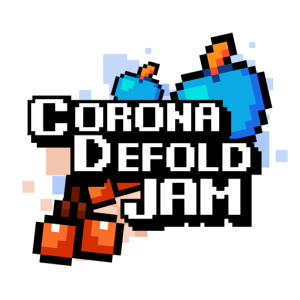 #CoronaDefoldJam starts on July 28, 2017, coinciding with the Ludum Dare 39 jam, and runs until October 1, 2017. At the end of Ludum Dare 39, you can submit your app for that jam and then continue to refine it until the end of #CoronaDefoldJam on October 1st. The project theme will be the same theme announced by Ludum Dare 39. The jam will conclude with announcements of the winners at DevGAMM in October. This is a great opportunity for Corona developers to participate in a game jam and show off the awesomeness that is Corona. To learn more, please visit the official game jam page. We look forward to seeing what you can create!